Bricknoid 2 is a classic brick breaking game like Arkanoid, Breakout and dxBall, in which you break bricks controlling your paddle and ball. Are you up to the challenge of becoming the ultimate brick breaker? - Sequel to the original Bricknoid, where billions of bricks have already been broken! - Live Wallpaper! 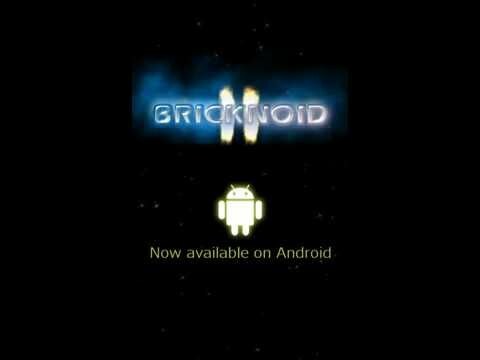 Yes, Bricknoid 2 is also a Live Wallpaper for free! - Beautiful, colorful and customizable HD graphics! - 80 Unique Fun Levels, and more brick breaking levels are added each update! - 3 difficulty levels, Easy, Normal and Hard. - Online scoreboards for Extreme Challenge Mode. - Game statistics; total bricks broken, time played, and more! - Optimized for both smartphones and tablets. - Share your Extreme Challenge High Scores on Facebook, let your friends know you're awesome in Bricknoid 2: Brick Breaker! - Because Bricknoid 2 is a Live Wallpaper, it unfortunately cannot be moved to the sd card. - Live Wallpaper mode is also not completely polished out, so it may not function optimally. Feel free to send an e-mail to driantgames@gmail.com or add a comment here to ask any questions or make suggestions to make Bricknoid 2: Brick Breaker better. We'll try to respond and help as soon as possible. Bricknoid 2: Brick Breaker is a free game developed using libGDX Framework. The game is supported by non-intrusive 3rd party advertisements (they are not shown during gameplay, or on areas that might be accidentally clicked).